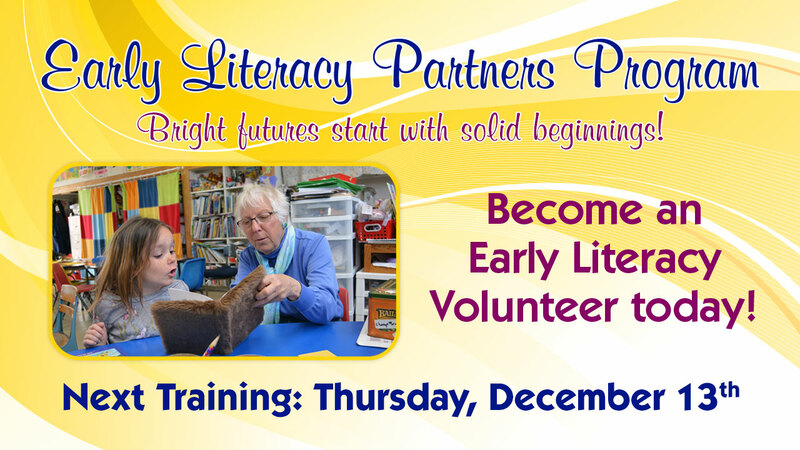 Become an Early Literacy Volunteer in Reading or Math…or Both! The Early Literacy Partners Program is designed to help benefit “reluctant or struggling” readers and to reinforce what the teacher is doing in the classroom. The program provides an enhanced learning experience for those identified students needing extra support. The Decade of Difference at HCOE provides free training to those who volunteer to work one-on-one with young students who need assistance in reading and math. The next training session is Thursday, Dec. 13 from in the Redwood Room at HCOE. Math will be from 10-11:30 a.m. and Reading will be from 12:30-2 p.m.
For more information or to register contact Olivia Kernen at 707-445-7007 or okernen@hcoe.org.